The Active In-car Sensor is designed for fully automated temperature control systems and active motor temperature systems. It indicates temperature for passengers within the car and uses a fan to draw air continually past the thermistor, giving an accurate temperature reading – without the need for a venturi tube. Please contact us at the number at the bottom of this page to learn more. The Dual Solar Sensor is mounted on a car’s instrument panel, near to the front window of the vehicle. The sensor incorporates two photo diode cells to measure light intensity entering the passenger area of the vehicle, it feeds this data back to the automatic temperature control (ATC) unit of the vehicle’s air conditioning system. 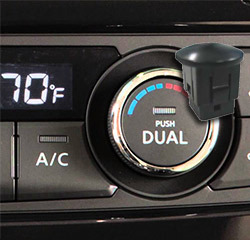 The air temperatures of the driver and passenger sides are then automatically raised or lowered accordingly. The Dual Solar sensor is easy to install, has a fast response time and can be easily can be used in Dual Air conditioners and in HVAC automotive systems. 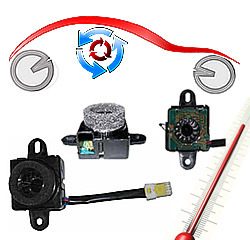 The Intake Air Temperature Sensor Assembly (IAT) is designed for easy installation and service, it measures the temperature of air entering the car engine and reports to the engine control unit (ECU) to accomplish optimal combustion. The ECU uses this information to optimize fuel delivery. The air to fuel ratio produces efficient combustion. This Intake Air Temperature Assembly has an integral connector and features high accuracy, long term stability @ 185ºC, it has a fast response time and is designed to snap-fit, eliminating wiring insulation damage. 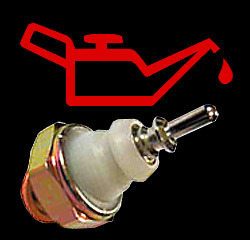 The Oil Pressure Switch Assembly perfoms the function of monitoring the engine oil flow when the engine starts. It can detect oil pressure and enables the EMS ECU to check for the lack of oil. It can also send an alarm signal to the driver, helping to avoid engine damage, due to overheating. The Oil Pressure Switch can be used in all vehicles and in a wide range of pressure switch applications. It is easy to install and has high sensitivity. Switching pressure 18 to 23 psi (0.2 to 0.55bar). The maximum electrical voltage is 28VDC and it operates at temperatures between -40ºC to 140ºC, with allowable pressure at a maximum of 160psi (10 bar). 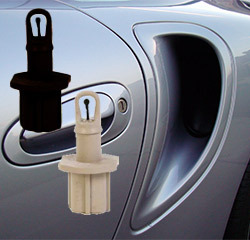 The Oil Temperature Sensor (OTS) monitors the temperature of the engine oil. It's purpose is to measure the oil temperature and display the measurement to the vehicle's occupants. The engine can be in danger of damage if operating at too high a temperature. As with the coolant temperature sensor, the OTS allows operators to stop the vehicle and switch off the engine, preventing an over heated engine which in turn, prevents permanent engine damage. 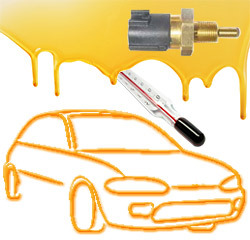 The OTS can be used to measure the temperature of Oil, Water and Coolant in vehicles. It offers high accuracy and long term stability, with a fast response time. It has an integral sealed connector and is available alternatively with RvT curves, different geometries to meet package requirements, pigtails, resistance and beta values. 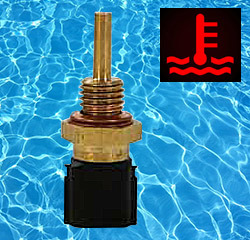 The Oil Temperature Sensor Assembly datasheet (click here) contains further detailed information. If you would like to know more, please call our Sales Team on the number at the bottom of this page. The Water Temperature Sensor monitors the temperature of the coolant that is being pumped around the engine block, to cool the engine. It's purpose is to notify the driver of the vehicle if the engine starts to overheat. It's goal is to relay an over-temperature engine temperature reading to the driver of the vehicle so that the vehicle can be stopped an the engine turned off before the heat causes any permanent damage to the engine. Featuring an integral connector, the Water Temperature Sensor assembly is a proven design in the field, there is also a 180ºC version available (An Oil Temperature Sensor (OTS)). There are different geometrics for different packages and alternative RvT curves are available. For detailed specifications click here to view the datasheet. If you would like to know more, please call our Sales Team on the number at the bottom of this page.